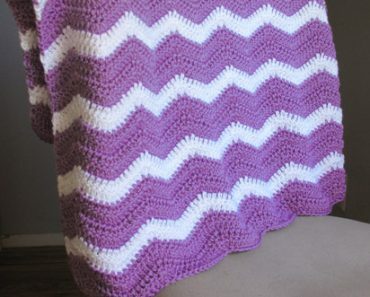 This cozy is SO fun to make!! 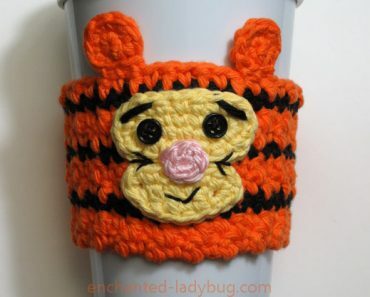 It is one of my favorite Disney cozies that I have designed. 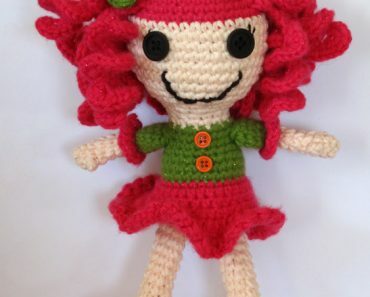 Someone asked for a custom design in my Etsy shop a while back and so my Mike crochet cozy pattern was born! 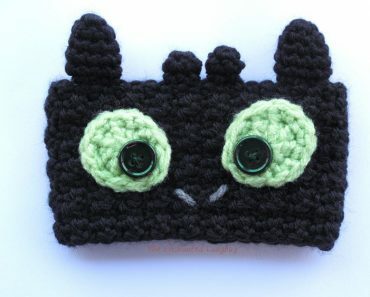 I also have Mike’s best friend, Sully, as a crochet cozy pattern which will be available in a later post. 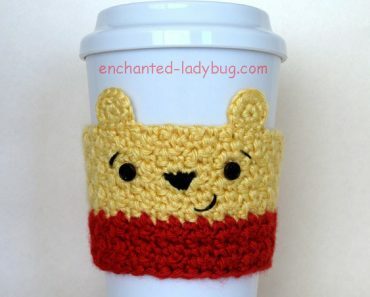 I got a flurry of orders for this cozy last fall and learned that it had been featured in a BuzzFeed food blog post! If you would like to see it along with other fun Disney kitchen gadgets you can view it here. Almost all of my cozies are made with a 4.0 mm crochet hook. I received it as a gift and have recently wanted to get a new on as a back up since my original is getting some pretty good wear and tear on it. My local craft stores only sell it in a large pack and they are inline style, I prefer tapered. If you have the same problem as me, I found a few nice back up hooks here. 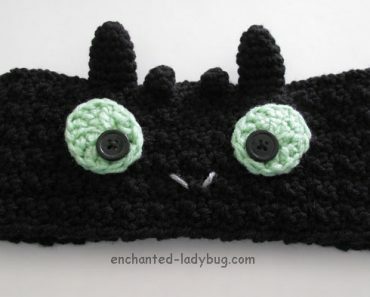 The yarn I use for this cozy is Lily Sugar ‘n Cream in Hot Green, Ecru, and white, and the blue part of his eye is with any worsted weight yarn in an aqua color. 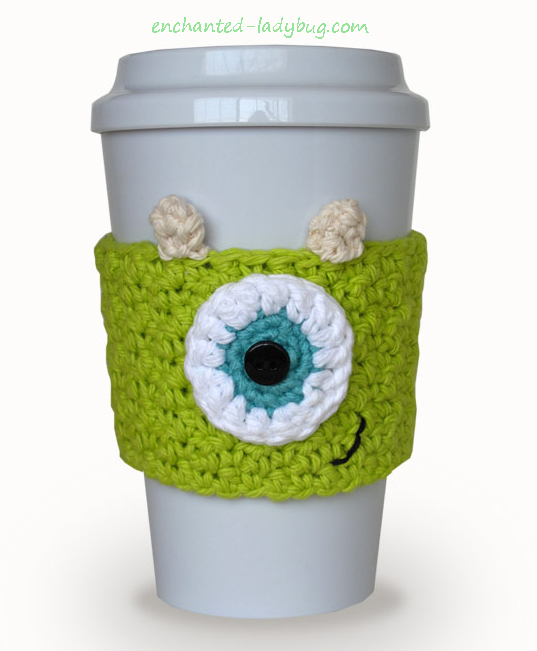 If you would like to make your own Crochet Mike Monster’s Inc. cozy you can download the PDF file below!! Have fun and I would love to see a pic if you make one!! Are you planning a Monster’s Inc. party or just looking for some fun printables for your kiddos (or you!)? Check out my husband’s site, Halegrafx.com. He has a ton of FREE printables in different themes. He even has a Monster’s Inc. pin the Eye on Mike printable, some water bottle labels, and cupcake toppers! Lily Sugar ‘n Cream, oh what a dream! !